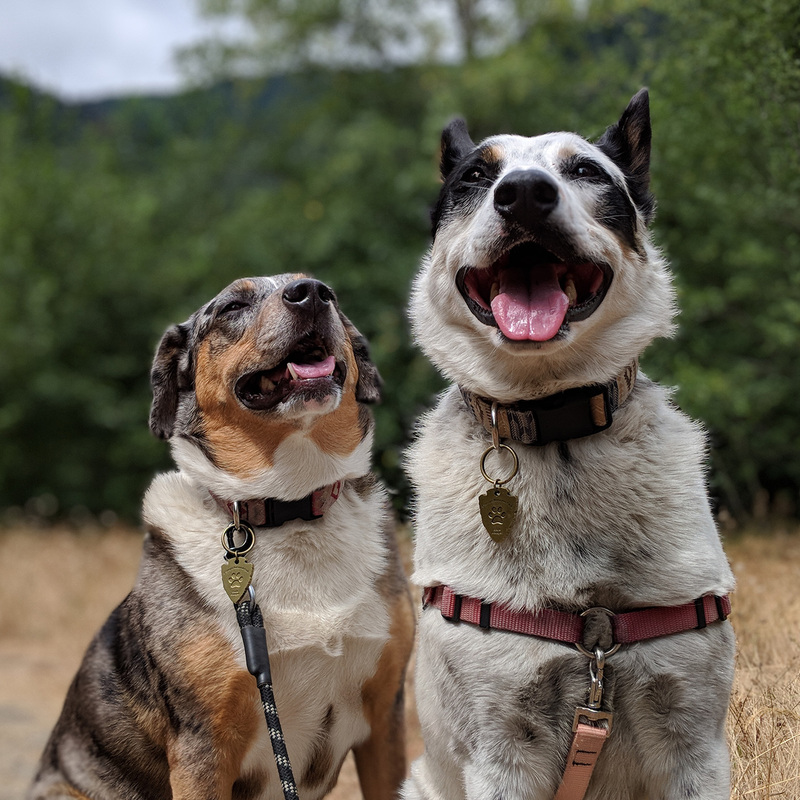 Meet the newest Bark Rangers at Olympic National Park, Lily Goodgirl and Mushy Fastpants! Rangers Goofus and Doofus are very proud of themselves. What is a Bark Ranger? Until today, we didn't know it was an official thing. And by luck, we are at the park where it began! 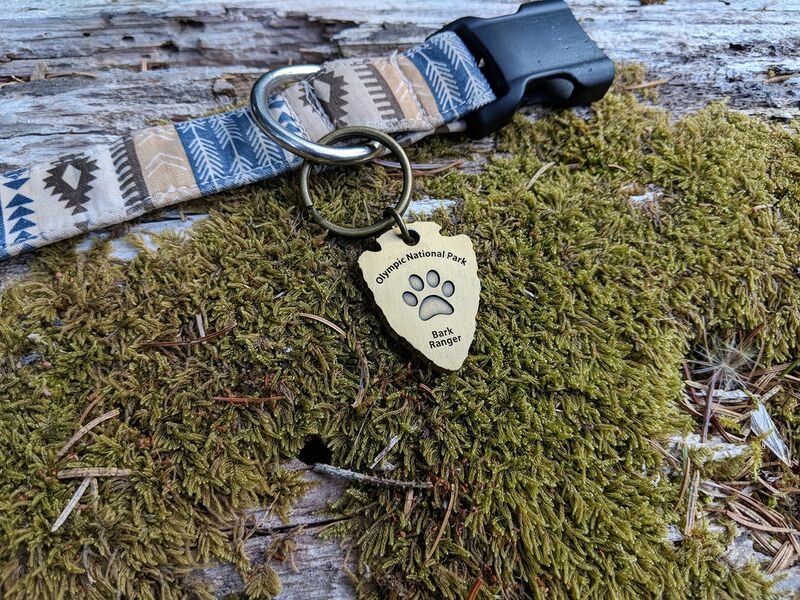 In 2015, the Olympic National Park piloted the Bark Ranger program and it became official in 2016. 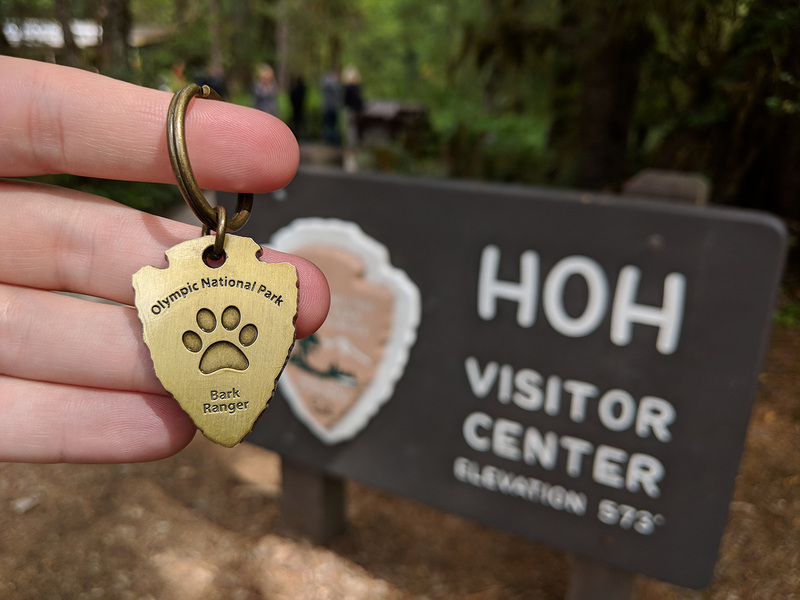 Tommi and I were inside the Hoh Rain Forest Visitor Center, speaking to a Ranger about where in this area of the National Park we could walk the dogs. Unfortunately, there's not too many places, but before leaving, she said because we were responsible pet owners who took the time to ask, that she had something for us. She went in the back room and I thought she might come out with some biscuits, but instead she handed us two official Bark Ranger pendants! She totally made our day! After doing some research, it appears that many other National Parks have adopted the Bark Ranger program! 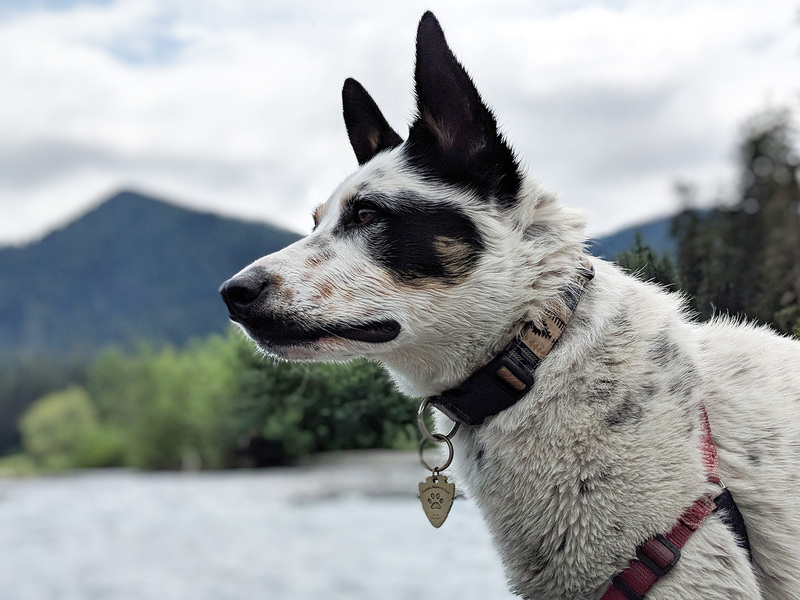 I can't find a complete list online, but if a trip to a National Park is in you and your dogs future, navigate to the "pets" section of the National Park's website you plan to visit, and see if it's mentioned. Here is the one for Olympic. 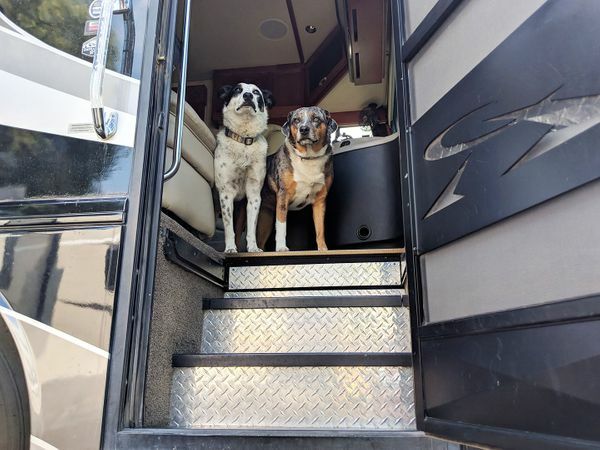 The dogs are convinced they're actual employees now and have tried to tell me they're now required to patrol the paved campground loop four times a day. Mushy says his responsibilities also include river patrol. Lily's expecting payment in cheese and Mushy will gladly take his in backrubs. 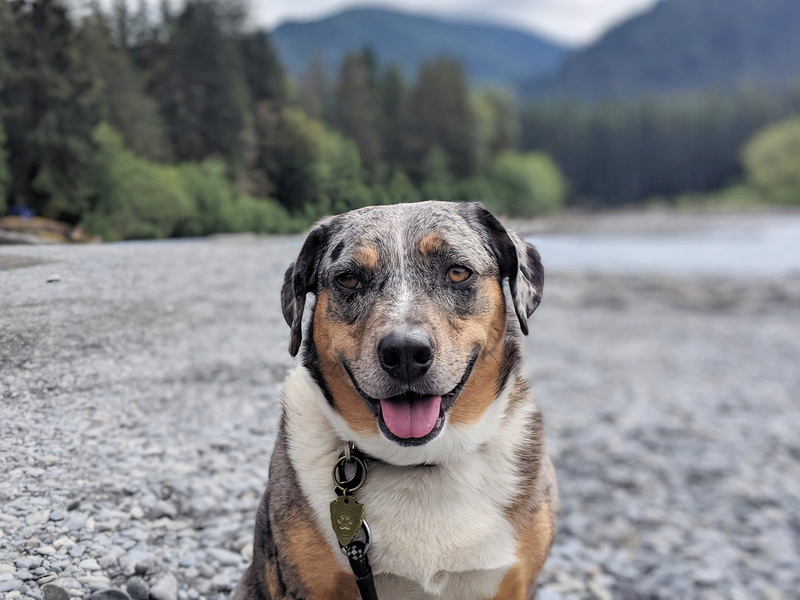 Dogs are allowed on the banks of the Hoh River where it borders the Hoh Campground, as long as Elk aren't present. Amazingly, we were gifted these pendants today, but it seems like most National Parks sell them for roughly $6 instead. I guess it was just Lily and Mushy's lucky day! Thanks Olympic! Lily hopes that more people will pet her once they know she's an official Bark Ranger. She plans on sitting like a Goodgirl outside the Visitor Center.